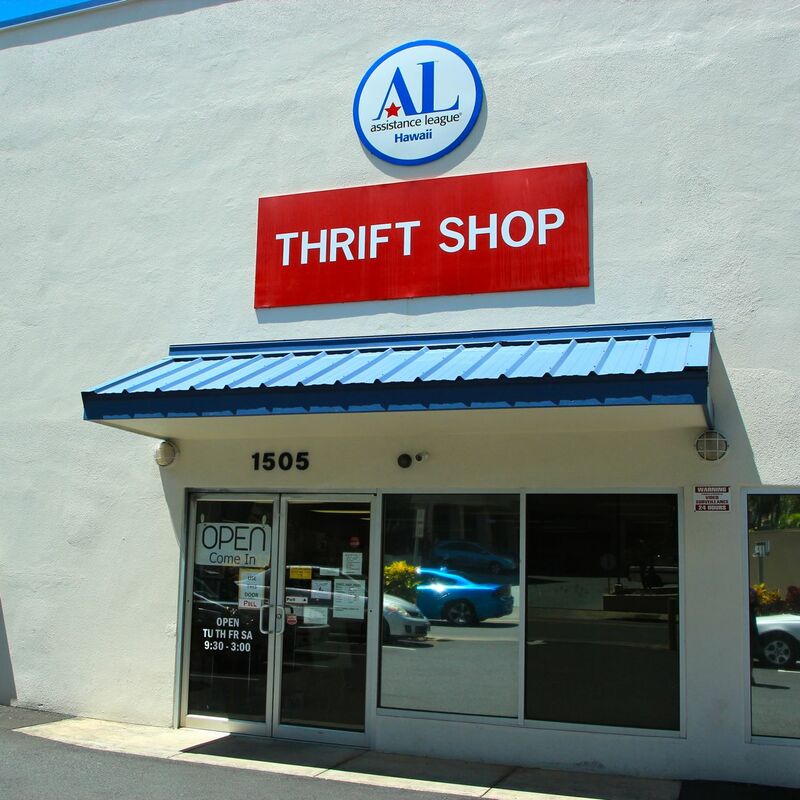 Donations of your gently used items in good condition are sold at our Thrift Shop located at 1505 Young Street in Honolulu Hawaii. Making a purchase at our Thrift Shop helps support our programs too. Your financial donation is also welcome! Harry & Jeanette Weinberg FDN. Hawaiian Sign & Design Co.
Before You Donate, You May Want More Detailed Information About Us. Assistance League of Hawaii collaborates with over 120 similar chapters across the United States and is a local chapter of National Assistance League, a nonpolitical, nonsectarian, volunteer service qualified under IRS Code 501(c)(3). Our EIN is #23-7024314 (Form 990). 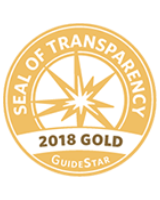 Each chapter can access many resources; educational materials, leadership training, program execution, information, brand recognition, retail practices, as well as this website hosted by the national organization of Assistance League. What We Do is deliver programs directly to schools, shelters, hospitals – where children and adults are in need, in trauma or in distress. This work is done by members, as is the funding of the work, which comes from the Thrift Shop on Young Street. Almost twenty-three thousand hours are donated by volunteer members each year. See details of Assistance League of Hawaii programs. The main obstacle to our mission is inadequate funding. To acquire more funds, we are placing more emphasis on name recognition through social media, our website, and local community contacts. The goal is to position ourselves to be eligible for more funding through grants. Supporters and donors are listed on this website. Presently, the primary source of funding is the Thrift Shop. Measures to increase profitability there are new outdoor signs, advertising with Constant Contact emails, and the introduction of many new retail practices. Results have been encouraging in all respects with sales numbers stable. However, meeting the needs of disadvantaged children and families in this community will require a marked increase over the funds that we are presently able to raise. Our goals are reviewed annually in March by the entire membership. Existing practices are re-evaluated at this time as well. A search is undertaken to identify more ways to increase productivity and efficiency. Comparing our results to other similar agencies: Unfortunately, we do not have a parallel non-profit in Hawaii. We are unaware of any that are composed entirely of volunteers who are attempting to return over 67% of all income directly back to the community. Our board members, over many years, have proven to be insightful, energetic and reliable elected leaders. There are no employees or paid staff in this organization. Both the board and the general membership of this organization warmly welcome new members. There are four members on our Community Advisory Council. Examining new ways of doing things is common practice, as is the practice of seeking out, and collaborating with every known resource in our community. Efficient use of funds is confirmed with the recent accreditation by the Hawaii Better Business Bureau. We have returned more than 67% of the funds raised to the community in hands-on programs such as providing new clothing to disadvantaged school children. Restructuring to become more profitable is not being explored at this juncture. 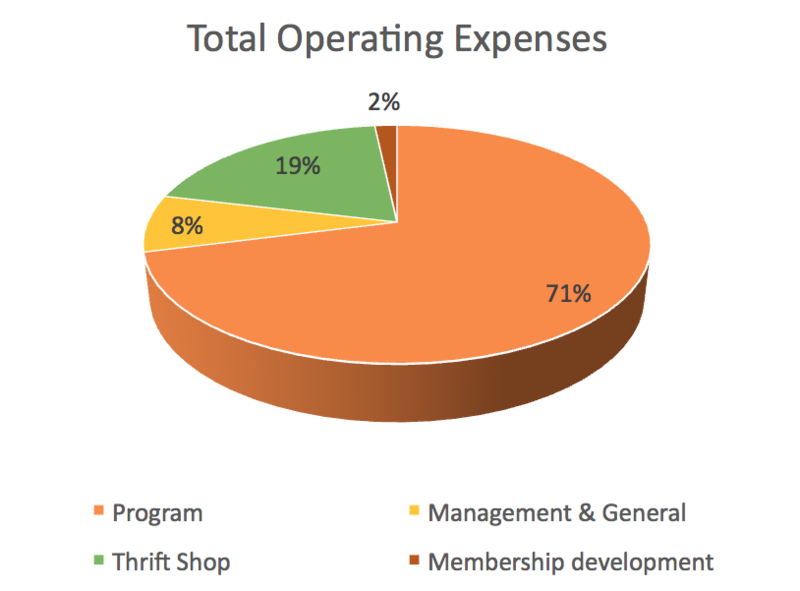 We are operating with no paid staff and financial donations from members have been maximized. Over 4% of our income is derived from member donations and dues. 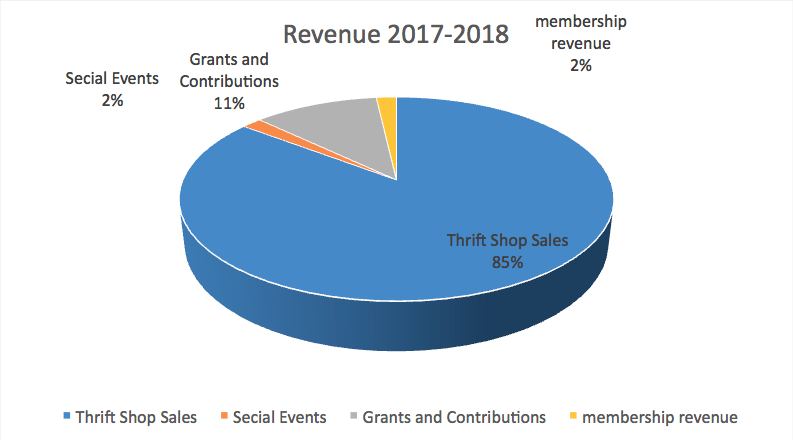 The Thrift shop provides over 80% of the revenue to fund our existing service programs. Successful grant applications and private donations appear to offer the most potential for acquiring enough financial support for at risk children and families. Shared responsibility for management: A total of 25 volunteers share the management responsibility for this non-profit organization. Competitors comparison: There is no other nonprofit that offers the services to the community that Assistance League of Hawaii delivers, with no paid staff. We have been in Hawaii since 1971 and have been commended by municipal, state and federal representatives for the tireless service to the children and families of Hawaii. Our objective is to help many more disadvantaged children on Oahu and neighbor islands. In order to do so, we will need a major infusion of funds. There are thousands of at-risk children that need support during their early, formative school years. Their success at school profoundly impacts their future, and the future of Hawaii. Our members are determined to find a way to support the efforts of these children.